Published military aviation photographer/writer. 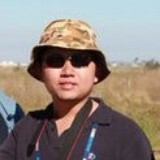 Melbourne-based Singaporean. Blogs/Tweets mainly Asia-Pac military aviation+air power. Photos on my website.